Two feuding Jewish congregations will soon have an answer on the ownership of the oldest synagogue in America. On June 1, 2015, the court trial which will determine the rightful ownership and custodianship of the oldest synagogue in the US has started in Providence, Rhode Island. 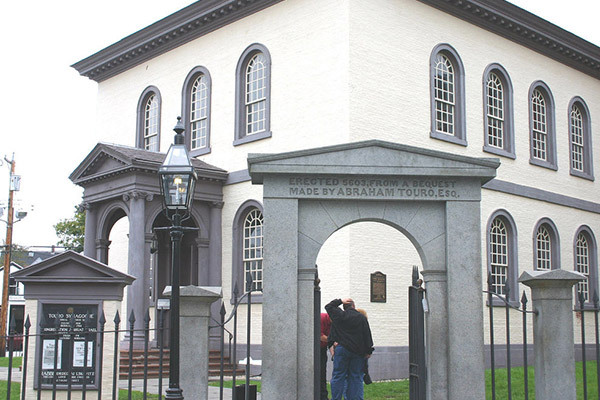 The Touro Synagogue located in Newport, Rhode Island was built in 1763 which served as the earliest place for Jewish worship in the United States during the British Colonial period. The first Jewish families to settle in Newport was said to arrive in 1658. The synagogue became an important part of American history even from the time that George Washington became the first president until this day that it was already declared as a National Historic Site. Also contained in the synagogue are valuable artifacts of both religion and history. The custody battle is between the oldest congregation in the United States which is the Congregation Shearith Israel of New York and the current worshipers and settlers of the synagogue, Congregation Jeshuat Israel of Newport. The building was originally built for the Jeshuat Israel in 1763. But after the end of British Colonial period or by the turn of the 1800s, Jews in Newport began leaving the city. As a result, custody of the synagogue including most its contents is transferred to the Shearith Israel congregation of New York. And after several decades or the latter part of the 19th century, the Jeshuat Israel congregation started to come back to Newport and the services of the synagogue was reopened. The Congregation Shearith Israel of New York started to question the ownership of the Congregation Jeshuat Israel when the former party learned that the Jeshuat Israel tried to sell the synagogue’s ceremonial bells called the “rimorim” to the Boston Museum of Fine Arts for $7.4million. Shearith Israel argued that as the “benevolent landlord” of the property for 200 years, it is also the owner of the rimorims. The bells are part of Newport’s history and Shearith Israel wants the future generations to experience such historic treasures in Touro Synagogue. In the end, the New York congregation wants the Newport congregation to be evicted from the synagogue. On the other hand, the Congregation Jeshuat Israel argued that it needs to sell the ceremonial bells to survive. The congregation is on the brink of financial collapse and could no longer maintain the building and the community. The congregation also cited that Shearith Israel of New York has already abandoned its responsibilities to the synagogue several decades ago. According to the US District Judge handling the case, religion should be discounted from the case because the lawsuits are purely civil in nature. The decision will take a couple of weeks since the court will have to probe based on centuries-old history and records. Testimony ended in mid-June and a decision by the judge is expected to be made on July 20.